Our Thrilling Himalayas tour is action-packed and meant for the real thrill seekers and adventure spirits who do not want to miss the chance to see the highest mountain in the world – Mt Everest. Hike with us off the crowded paths to Jiri Pikey peak (4.067 m) and absorb a 360° view of all 8000 meter mountains of Nepal. 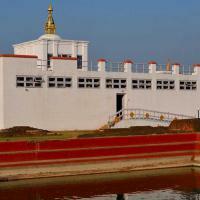 Wander on a historical path once followed by the early Everest expeditions in the 1950s/1960s and experience unspoiled culture, landscape and history of Nepal. After this eight day trekking adventure board the rafts on Sunkoshi River and race down the river for another four days. Go on a real challenge. Do you dare? HappyHari staff will be waiting for you at the airport with our company’s logo printed on the t-shirt and holding a sign with your name. 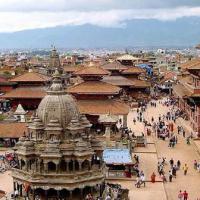 Once you meet the leader you will be warmly welcomed and transferred to your accommodation in Kathmandu which will require approx. half an hour’s drive. After check-in at the hotel and refreshing you will be briefed regarding your tour programme. No further programme planned today. After early breakfast we will drive to the northeast of Nepal into the direction of Tibet. During the eight hour drive you will be able to enjoy a beautiful scenery of the Himalayan mountains. We will spend the night in a basic teahouse lodge in Bhandar. 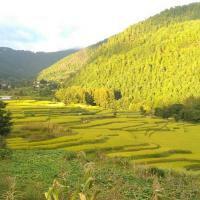 On our today’s trek to Namkheli we will pass beautiful villages, farmland and jungle. It will be a gentle walk with some uphill and downhill part involved. On the seven hour trek you will also get some great mountain views. Our accommodation will be a teahouse lodge. Trek to Pikey Base Camp(3640m). 6/7hrs. Be prepared for a lot of uphill (1.050m) today. We will cross some nice villages and farmland and certainly meet some friendly locals. After seven hours we will reach Ngaur where we stay in a teahouse lodge for the night. Trek to Jasmane Bhanjang (3549m). 4/5hrs. accommodation will be a teahouse. Trek to Jungbesi (2700m). 5/6hrs. 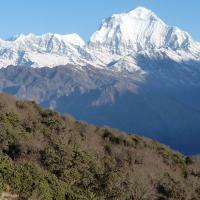 We will wake up early today to climb to Jiri Pikey peak again for sunrise. After that we will return to our teahouse to have breakfast before continuing on to Jasmane Bhanjang The six hour walk will lead us through small villages and rhododendron forests. You will get the opportunity to learn more about Sherpa culture. We will spend another night in a teahouse lodge. Be prepared for lots of downhill today. After seven hours walk through farmland, forests and nice villages we will arrive to our teahouse lodge in Jungbesi. 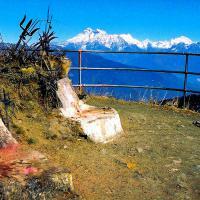 Trek to Phaplu (2469m). 3/4hrs. Today is our final trekking day and we are heading for Salleri – a little town where village people usually come for shopping. We will reach our teahouse lodge after six hours walk. After breakfast we will rent a local jeep and go on a four hour drive to Harkapur. Here we will meet our rafting crew and camp by the river side. Our river guide will tell us about the river and the crew will cook very good food for us. You’ll be transferred to the Airport according to your flight schedule.